Good news! I made some progress with my handmade gifts this weekend and thought I would share a few of the items. Everything shown is made out of flannel. 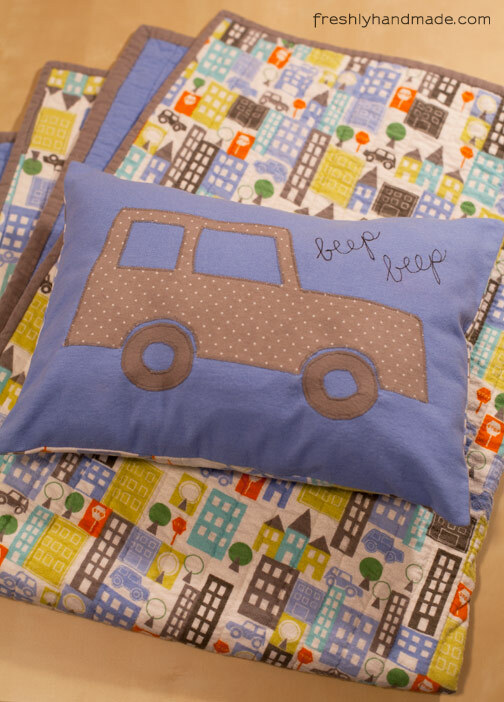 My nephew will be receiving this super cute bedding set. 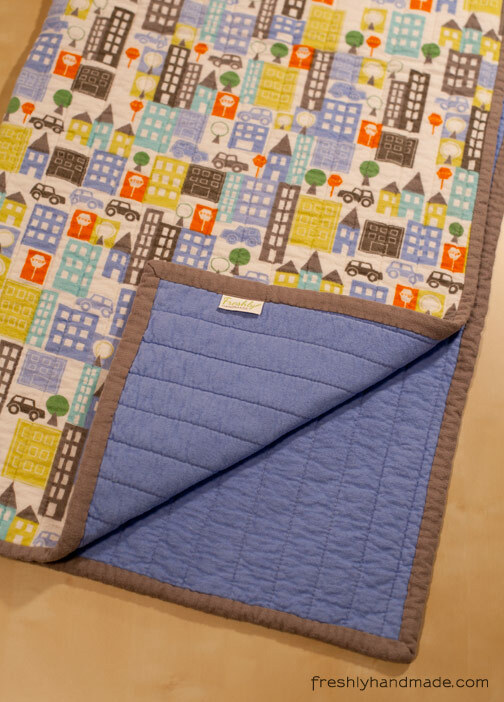 The whole cloth quilt has a print called Metro City Blocks on one side and is paired with a solid blue on the back side. This quilt is pretty thick, so it should be warm and cozy for the winter time. 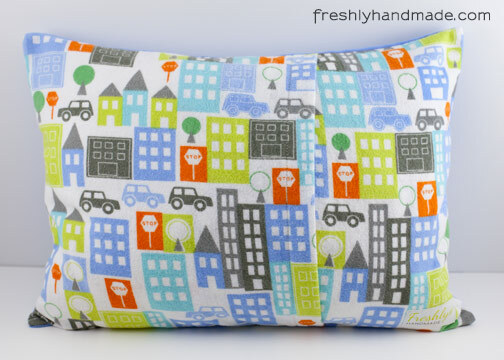 I just love this little decorative pillow I made to match. I drew and cut out a car similar to what is on the Metro City Blocks print and appliqued it to the front. 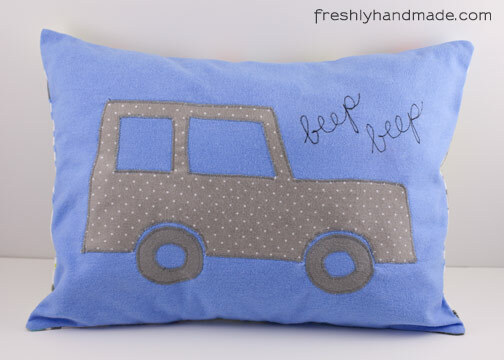 Then I stitched "beep, beep" in black. I used the print for the back and created an envelope-style case so it can be easily removed for cleaning. 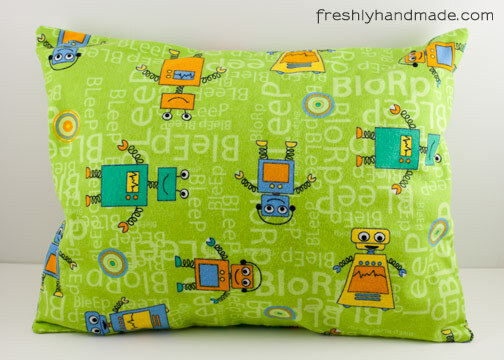 I also made a pillow for another little boy in our family who became a big brother a few days ago. I hope it makes him feel just as special as his little sister. And, for the new baby girl, I'll be sending her this super soft blanket that I've had made up. This blanket was made the same way as my Lightweight Baby Blanket Tutorial and makes a great baby gift. I am still working on the holiday place mats for my mother-in-law and hope to finish them up today.